Sing It High, Sing It Low: Tumbleweed Records 1971-1973. Nowadays, it can be a risky business founding a new record label, and many hopeful music moguls are left licking their wounds. However, founding and running a record label has always been a risky business. It’s not a licence to print money, and never has been. Even back in the seventies, which was a golden age for music. Back then some albums sold in their millions, during an era when vinyl was King. During the seventies, some labels prospered, while sadly, many new labels folded after just a couple of years. That was happened to Denver based Tumbleweed Records, who were founded in 1971, and shut their doors two years later in 1973. By then, Tumbleweed Records had spent five million dollars and released just nine albums and a couple of singles, which sadly, failed to find an audience. Problems with distribution and marketing proved costly for Tumbleweed Records. It was the end of the road for Larry Ray and Bill Szymczyk’s label that had produced some fantastic music. A reminder of that music can be found on Light In The Attic Records’ new compilation Sing It High, Sing It Low: Tumbleweed Records 1971-1973. It’s a reminder of two incredible years in Denver, where Larry Ray and Bill Szymczyk followed their dream of becoming music mogul. If it hadn’t been for the San Fernando Earthquake on February ‘9th’ 1971, Larry Ray and Bill Szymczyk might never have founded Tumbleweed Records. The events of February ‘9th’ had been devastating and terrifying. Suddenly, Larry Ray and Bill Szymczyk began to have second thoughts about living and in Los Angeles. Maybe it wasn’t the best place to bring up a family? However, LA was where the music industry was situated on the West Coast, and Larry Ray and Bill Szymczyk were music men. Both Larry Ray and Bill Szymczyk had worked for the ABC-Dunhill label in Los Angeles. However, after the San Fernando Earthquake the pair began to hatch a plan, that would see them leave LA behind. Larry Ray and Bill Szymczyk wanted to found their own record label, but this they realised, was going to cost money, and a lot of it. They calculated that it would take five million US Dollars to found their own independent label in Denver, Colorado. The label they planned to call Tumbleweed Records, if they could convince the Gulf + Western Corporation to give them five million US Dollars. Having pitched their idea to executives at the Gulf + Western Corporation, they agreed to give Larry Ray and Bill Szymczyk the five million US Dollars they needed to found Tumbleweed Records. This seed capital would allow Larry Ray and Bill Szymczyk to found Tumbleweed Records and get it up and running. This was something to celebrate. With Tumbleweed Records up and running, the nascent label announced its arrived by buying a full page advert in Billboard Magazine. However, the magazine didn’t show Tumbleweed Records’ first signings. Instead, it featured a picture of Larry Ray and Bill Szymczyk and their respective families. While this was unusual way for a new label to announce their arrival, Tumbleweed Records was no ordinary label. Larry Ray and Bill Szymczyk and their families left LA and headed to Denver, Colorado. That was where a residential house became the headquarters for Tumbleweed Records. This was a very different environment to the major labels. Both Larry and Bill were determined that Tumbleweed Records would be an artist friendly label. They fostered a communal atmosphere, which in some ways, harked back to the hippie era. Drugs were commonplace at Tumbleweed Records’ headquarters, including pot which was smoked openly. It was a firm favourite at Tumbleweed Records HQ. So much so, that roach clips were given out as promotional items when the label got up and running in 1971. This was the start of a two year roller coaster ride for Larry Ray and Bill Szymczyk. With five million US Dollars in the bank, they began looking for talented artists who had slipped under the radar, and who they could turn into stars. Ten tracks from these artists feature on Sing It High, Sing It Low: Tumbleweed Records 1971-1973. For Tumbleweed Records’ first release Canadian singer-songwriter Arthur Gee’s eponymous debut album was chosen. 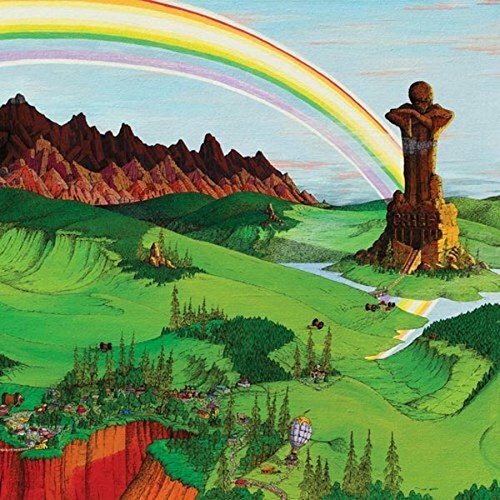 He was allegedly had a penchant for LSD, and as a result, the two albums he released on Tumbleweed Records have a mellow, lysergic sound. This includes his eponymous debut album, which featured Plain Talk. It showcases Arthur Gee’s trademark Acid Folk sound and truly talented singer-songwriter. Sadly, the album failed to find the audience it deserved. Part of the reason for Arthur Gee’s lack of success was Tumbleweed Records’ poor promotion and distribution problems. This seemed like teething problems given Arthur Gee was Tumbleweed Records first release. However, these problems would persist over the two years. 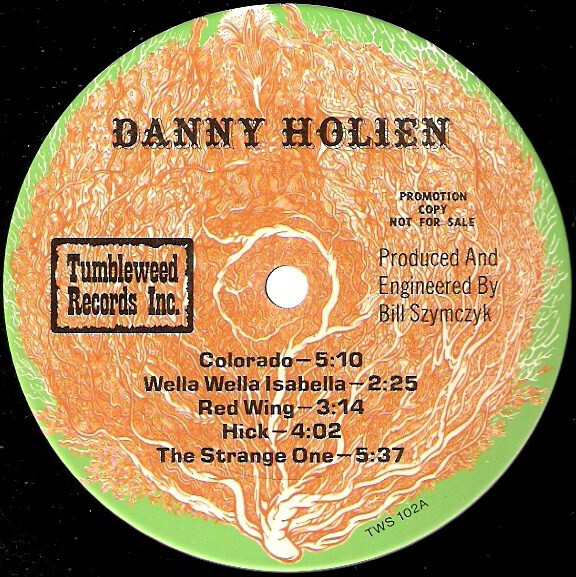 Tumbleweed Records’ second release was from another singer-songwriter, Danny Holien whose music ranged from folk rock to psychedelic rock. He too, was a talented troubadour and his eponymous debut album was proof of that. 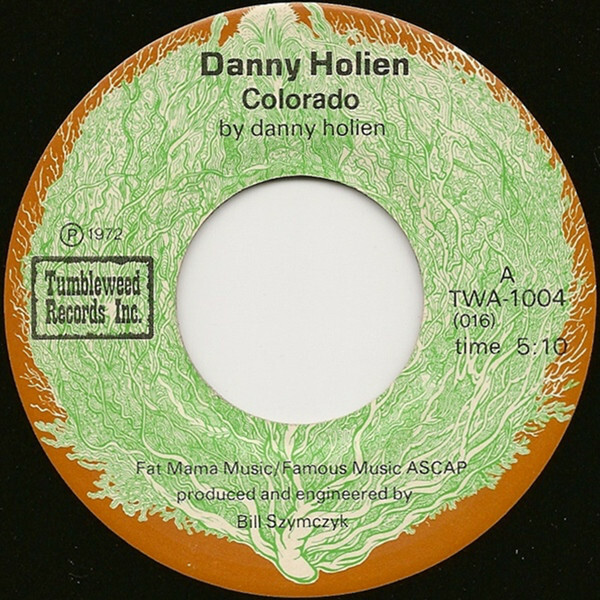 Danny Holien was released later in 1971, and featured Hick and Colorado, a poignant folk-rock ballad that was later released as a single in 1972. Alas, neither Danny Holien nor Colorado sold in vast quantities, and Tumbleweed Records were still looking for their first success story. For Tumbleweed Records’ third album, they signed an already established artist Albert Collins. The only problems was, that the blues was no longer as popular as it had once been. So much so, that many saw the blues as yesterday’s music and no longer relevant. However, some blues men had started adding some funky licks, in an attempt to move away from the more traditional blues sound. Even this failed to attract a new generation of record buyers to the blues in great numbers. This indued Albert Collins’ 1971 album of Texas blues There’s Gotta Be A Change. Alas, there wasn’t a change when Albert Collins’ There’s Gotta Be A Change failed commercially. After releasing three albums, commercial success continued to elude Tumbleweed Records. That was despite critically acclaimed reviews of the albums, which featured truly talented musicians. Each album, was beautifully presented and featured packaging that would put most labels to shame. Despite all this, many record buyers still hadn’t heard of Arthur Gee, Danny Holien or Albert Collins’ albums for Tumbleweed Records. Nor could these albums couldn’t be found in many local record shops. Still, promotion and distribution were proving problematic for Tumbleweed Records. For Tumbleweed Records’ next release, the label turned to Dewey Terry, who in the fifties was one of half of the duo Don and Dewey. By 1972, Dewey Terry was a solo artist, but had still to release his debut album. 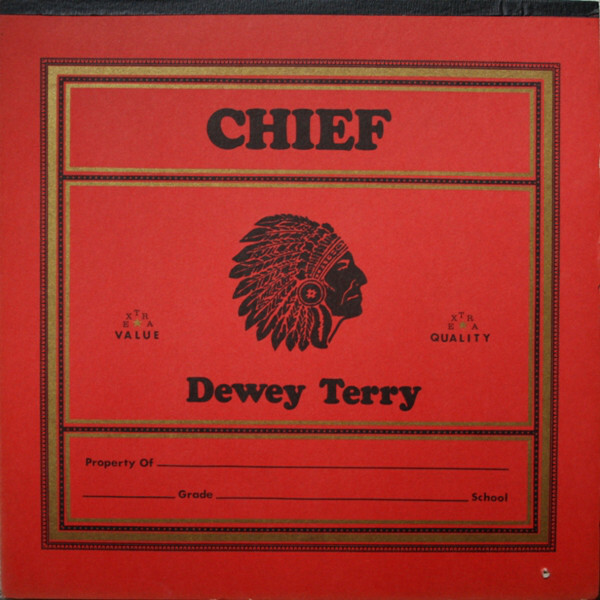 Tumbleweed Records released Chief later in 1972, and came complete with a cover that flipped open like flipped open like notebook. This resulted in Chief being nominated for a Grammy Award for Best Recording Package. It contained an album that featured blues, funk and soul. One of the most soulful songs, was the wistful sounding Sweet As Sherry, while Do on My Feet (What I Did on the Street) was the funkiest.However, when Chief was released in 1972, it was a familiar story when the album failed to trouble the charts. 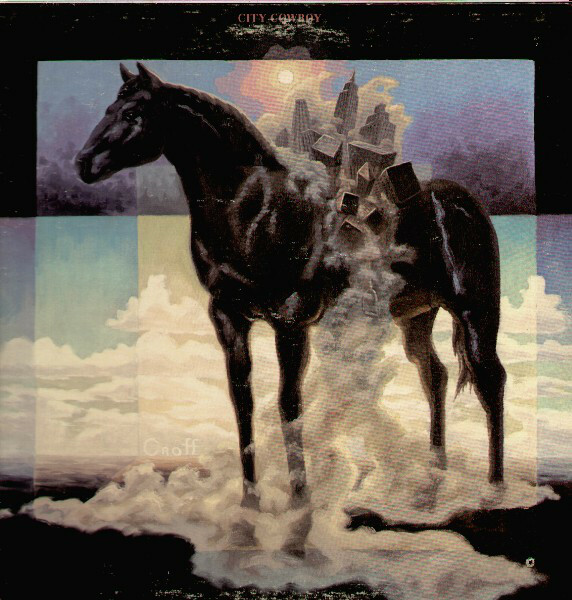 The next release bearing the Tumbleweed Records’ logo was Arthur Gee-Whizz Band’s album City Cowboy. It was released later in 1972, and featured elements of country, folk and rock. One of the highlights was dreamy, melancholy sound of Sunday Sherry, which showcased the considerable talents of Arthur Gee. He became the only artist to have two albums released on Tumbleweed Records. Unfortunately, neither were a commercial success, which was another blow to Arthur Gee, and Tumbleweed Records’ founders Larry Ray and Bill Szymczyk. To boost sales, Tumbleweed Records released their first sampler, Tumbleweed Sampler in late 1972. It featured ten tracks from Tumbleweed Records’ artists, which Larry Ray and Bill Szymczyk would introduce record buyers to the label. That would’ve worked, if record buyers could find copies of Tumbleweed Sampler. As a result, Tumbleweed Records’ search for a successful album continued into 1973. By then, Tumbleweed Records had signed Rudy Romero, and he had recorded his debut album To The World. At the time, it was rumoured that former Beatle George Harrison had featured on four tracks on To The World. However, that has never been proved, and may have been hype. Tumbleweed Records certainly had high hopes for Rudy Romero, and pushed the boat out for To The World. They pressed the album on white vinyl, which was another example of Tumbleweed Records were concentrating on presentation. Pressing an album on white vinyl was almost unheard of, as most albums were released on black vinyl. Sadly, this didn’t make any difference in sales, which again, were disappointing. Especially as Tumbleweed Records was making substantial inroads into the five million US dollars Gulf + Western Corporation had invested in the company. Larry Ray and Bill Szymczyk badly needed an album or even a single to give the label a hit. This would inspire confidence in their major investor. Luckily, Tumbleweed Records had signed some talented artists who they hoped would transform the label’s fortunes. This included Pete McCabe, whose music ranged from country rock to folk rock. He had recorded his debut album The Man Who Ate The Plant at the Record Plant, in Los Angeles. No expense it seemed, was spared when it came to Tumbleweed Records’ signings recording their albums. They were recorded at op studios. Similarly, no expense was spared on album covers. Presentation was of the utmost importance for Larry Ray and Bill Szymczyk. 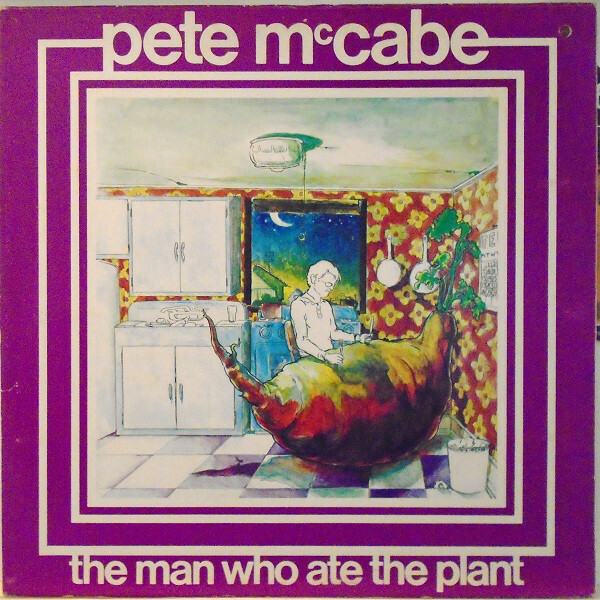 Pete McCabe’s The Man Who Ate The Plant featured a lavish gatefold cover, when it was released in 1973. One of the highlights was Late Letter, which features a soul-baring vocal from Pete McCabe. Sadly, The Man Who Ate The Plant didn’t find the audience it deserved. Time was running out for Tumbleweed Records. Gulf + Western Corporation were beginning to get nervous by 1973. They had invested five million US dollars, and received no return. It wasn’t the best investment the company had made. Executives at Gulf + Western Corporation were watching the Tumbleweed Records’ situation closely. 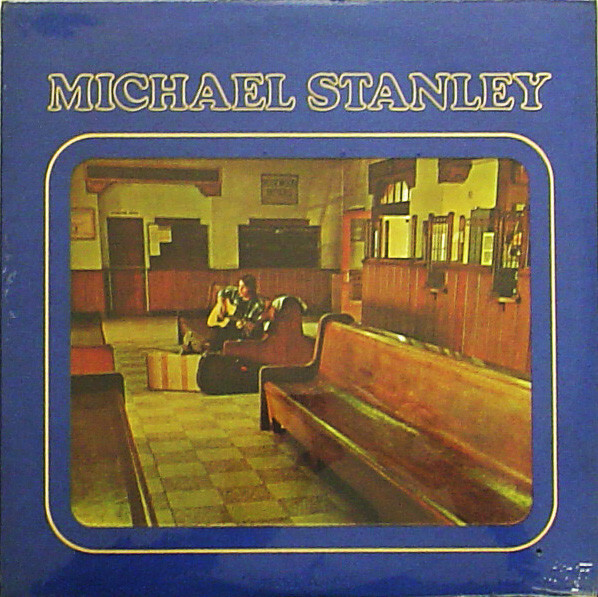 Michael Stanley’s eponymous debut album was the next release on Tumbleweed Records. It was released in 1973, and featured an all-star backing band. Joe Walsh, Todd Rundgren and Rick Derringer accompanied Michael Stanley at the Record Plant in LA. One of their finest moments was Rosewood Bitters, which opened the album and was a tantalising taste of what Michael Stanley was capable of. Given the quality of the album, everyone at Tumbleweed Records had high hopes for Michael Stanley. Alas, commercial success eluded the album and soon, Tumbleweed Records were staring into the Abyss. 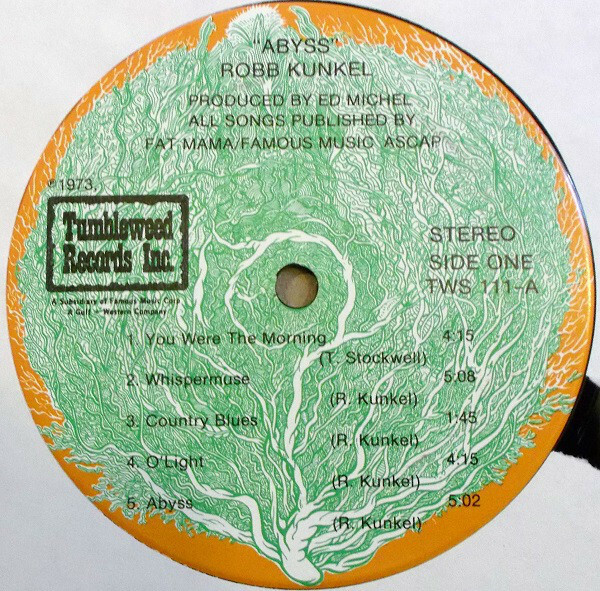 Little did anyone realise that Robb Kunkel’s Abyss would be the final album that Tumbleweed Records would release. It had been recorded by a talented band that included vocalist Danny Holien and percussionist Victor Feldman. They recorded ten tracks, including the piano lead ballad Turn Of The Century, which showcased a truly talented singer-songwriter. Unfortunately, Tumbleweed Records was on its last legs, and the problems with promotion and distribution persisted. Abyss like so many Tumbleweed Records’ releases didn’t find the audience it deserved. Soon, though, things would get a lot worse for Tumbleweed Records. After nine albums and several singles, they had spent five million US dollars. With nothing left in their bank accounts, and Gulf + Western pulled the plug on Tumbleweed Records. With no income, Tumbleweed had no option but to close their doors. It had been an admirable musical experiment that failed badly. Tumbleweed Records had tried to foster an environment that was on artist friendly, and was a place that would encourage creativity. That was why Tumbleweed Records eschewed a traditional office for a residential house. They wanted their artists to drop by, and do what musicians did in the early seventies. This seemed to involve smoking a lot of dope. However, this didn’t seem to affect the quality of music. Most of the artist that Tumbleweed Records signed were talented, up-and-coming musicians. Especially, singer-songwriters like Arthur Gee, Danny Holien, Rudy Romero, Pete McCabe and Robb Kunkel. They released albums that deserved to find a much wider audience. Sadly, the problems that Tumbleweed Records with promotion and distribution impacted on sales. The lack of promotion meant many people hadn’t heard of the Tumbleweed Records’ releases. Some of those that had heard of the albums, were unable to find them in their local record shops due to distribution problems. These problems with promotion and distribution persisted throughout Tumbleweed Records’ lifetime. Tumbleweed Records was an ambitious label, but one that only lasted two years. During that period, they released nine albums which were beautifully packaged and presented. Larry Ray and Bill Szymczyk both knew the important of packaging, presentation and production values. Tumbleweed Records looked and sound great. They should’ve stood out in record shops across America. Especially given the quality of music that features on most of the albums. This includes the ten tracks from these albums music can be found on Light In The Attic’s new compilation Sing It High, Sing It Low: Tumbleweed Records 1971-1973. It’s a reminder that founding and running a record label has always been a risky business, and certainly isn’t and never has been, a licence to print money. ← NINA MIRANDA-FREEDOM OF MOVEMENT.